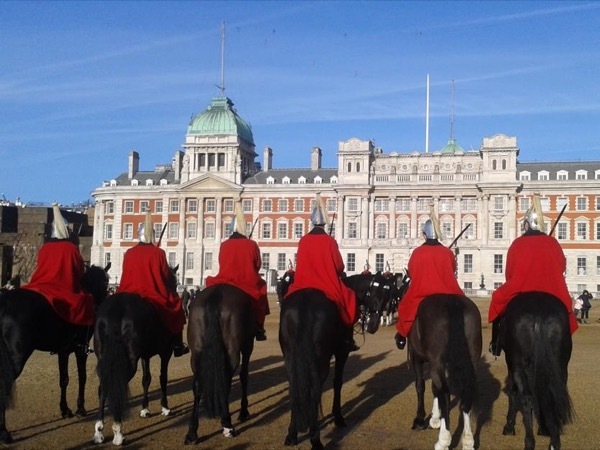 Traveler Reviews for Private Tour in London, England, United Kingdom by Tour Guide Ginette A. About Ginette A. Message Ginette A.
Ginette, She was absolutely fabulous! She was able to customize the tour on the fly as she learned of our preferences. Not only was she very knowledgeable she was great fun to hang with. Book her if you are in London!!! Our tour with Ginette was the best part of my visit to London. She was informative and we covered a ton of ground. We wanted to try Indian food for lunch and she located a fabulous place for us to eat and helped us plan the rest of our days in London. Kind and easygoing...I recommend Ginette highly. Anne F.
This was a fabulous first day walking tour of London!! While we couldn't see it 'all' we sure saw a lot! It was myself and my two daughters (14 and 12) and it was a LOT of walking which was just what we love. The weather was horrible but we managed to stay mostly warm because we just kept moving. We saw the guards and palaces and parks and shopping areas and generally feel much more confident now wandering around. We had fun, ate a great lunch and enjoyed Ginette so much! A wonderful tour!! Definitely 5 out of 5. She was excellent. Very personable, fun, knowledgeable and flexible. I would highly recommend her for a walking tour of London, which was our experience on Saturday, June 24. Ginette was very helpful in making the tour arrangements and delivering a great tour. I was able to see all of the major attractions for the tour and Ginette was able to provide the history and local flavor that met my expectations.